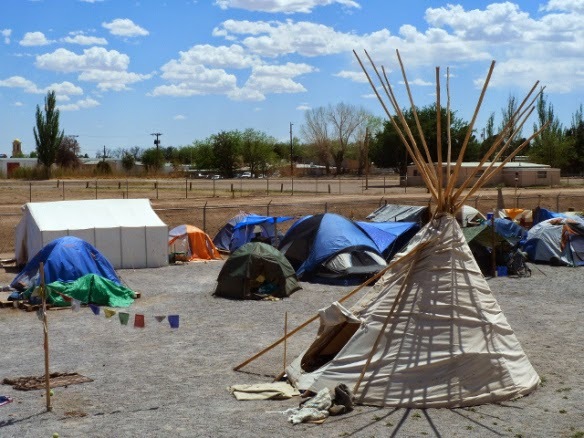 The camp was founded in November 2011 and was hosted on land owned by a local non-profit, Mesilla Valley Community of Hope, with temporary permission from the city (999 W. Amador Avenue). 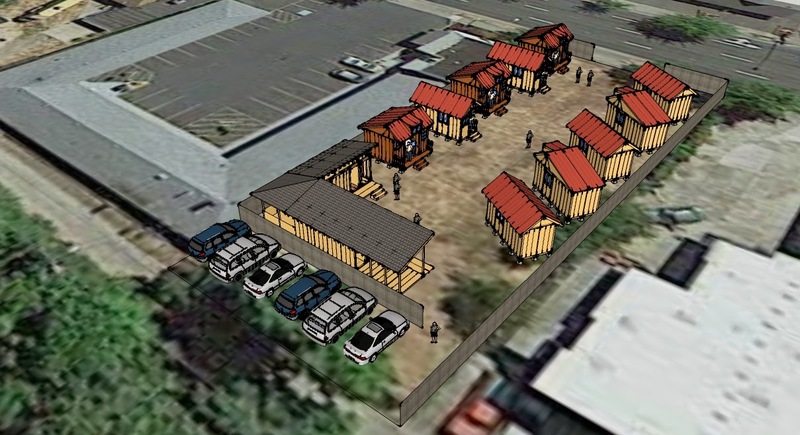 The camp was supposed to disband in March 2012, but there was still no funding available to build another shelter and the City Council stated that it had been a benefit to the city. 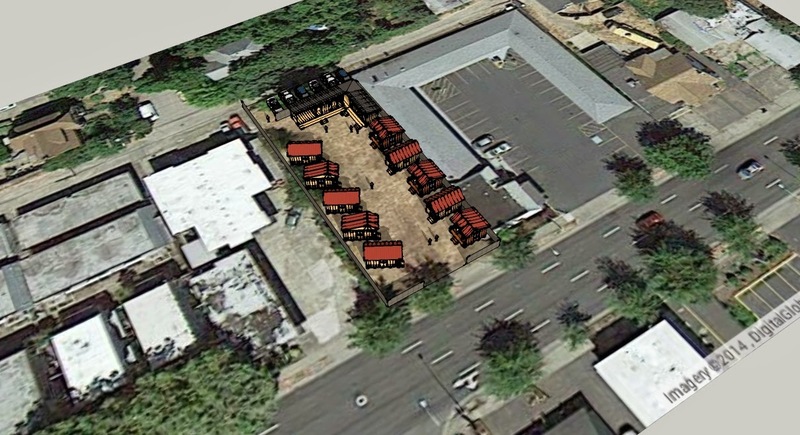 In 2013, with help from engineering students from New Mexico State University, the site was rezoned as a planned unit development (PUD) that sanctioned a permanent campground along with a number of other uses on the non-profit's campus. Check out the Camp Hope presentation to their city council for the concept plan that was proposed. Also, here is a webcast of the rezoning approval. "There are currently up to 50 homeless residents of our 'Camp'. Over half are above the age of 50, there are 11 women ranging from ages 23-72, 9 veterans, 6 Spanish speaking people, several disabled folks, and 3 dogs, all kinds of everyday peoples, to get a quick glimpse. There are many reasons people become homeless for which statistics fail to represent the individuals that are surviving on our streets. Our program illustrates this clearly as many of our community supporters are learning, spending time with us and listening to us speak about our experiences. From University students to Home-school adolescents, church groups and families, to grassroots activists and non-profit agencies, even Eagle Scouts and Army Corps, all working with the homeless people who live here and manage this project for themselves, educating each other about how we can face the “homeless problem” and find solutions and alternatives to improve the quality of life for homeless men and women, one day at a time."